We’re not always granted second chances in life, but that’s what makes them so precious. If you’ve undergone nose surgery only for it to go wrong, then you know it’s not an error that can be swept aside or forgotten. But there’s always hope; with a procedure like the revision rhinoplasty, you have another opportunity to attain the confidence and pride you deserve. Second to Creation was founded on the principle of helping patients become their best, most confident selves. 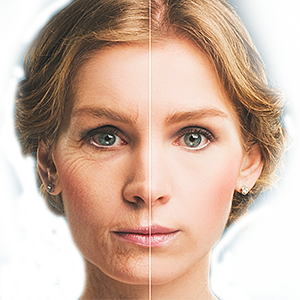 It’s why Dr. Machida is passionate about helping patients achieve their new appearance. Don’t let one obstacle get in your way—we’ll help you get it right the second time around. While there might not be a specific deformity that your nose is suffering from, being unsatisfied with your results is reason enough to get them changed. 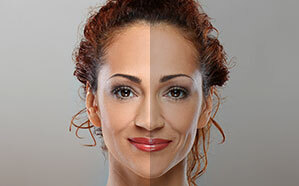 Asymmetry is another issue that can arise; because every rhinoplasty is performed twice – once on the right side and once on the left – there’s a chance that asymmetry can occur. Sometimes the tip of the nose can look so pinched that it creates an unnatural look. Nose surgery can sometimes cause the cartilage in the nose to protrude excessively. The entire nose can sometimes be crooked. The nose sometimes curves in too much, almost like it was scooped out. An upside-down V can appear on the bridge of the nose. The columella, the strip of skin under the nose, can hang down excessively. Sometimes the nasal bones don’t join together at the top of the nose, causing the nose to become too wide. Your consultation is the perfect chance to learn all about the revision rhinoplasty and how it could help you. Dr. Machida is passionate about informing and educating patients about every aspect of their procedure, so patients are encouraged to ask as many questions as they need to. Your consultation is also where Dr. Machida starts planning his procedure. Each and every revision rhinoplasty is customized depending on the patient’s needs, so he’ll use the consultation as an opportunity to analyze your nose. It’s also crucial that patients discuss their motivations with Dr. Machida before he gives them the green light for the procedure; some of our patients have emotional and psychological reasons for not liking their primary rhinoplasty results, and Dr. Machida tries to only operate on patients who have a legitimate reason for undergoing the procedure. Like all of his facial plastic surgery procedures, revision rhinoplasty will be performed using local anesthesia. 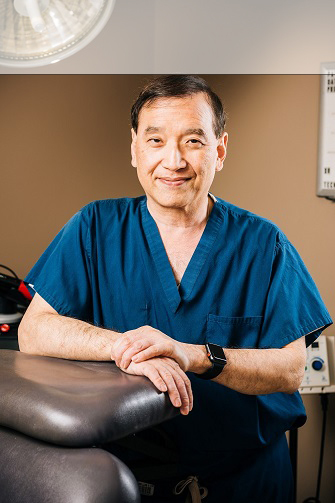 Dr. Machida can use local anesthesia because he’s able to achieve the same results with a much shorter operative time—an important factor in lowering the risk of complications. Using local anesthesia also allows the patient to recover much faster immediately after the operation. Dr. Machida performs each revision rhinoplasty with a closed approach, although he will sometimes use a cartilage graft from the septum inside the nose or behind the ear. Once the nasal structures have been altered, Dr. Machida will redrape the skin and suture the nose so that the incisions blend seamlessly when healed. Dr. Machida will place a small splint on the nose to help it maintain its new shape, and he may place temporary packs inside the nose to soak up bleeding or leakage. Why Choose Dr. Machida for the Revision Rhinoplasty? There are so many factors that make revision rhinoplasty one of the most difficult plastic surgery procedures around. When performing a revision rhinoplasty, Dr. Machida needs to take existing scar tissue into account, rebuild structures that have been compromised, ensure further deformities don’t appear, and make sure that the nose is proportional with the patient’s other features. The skin is also usually thinner after a primary rhinoplasty. Dr. Machida will take all of this into account before performing each revision rhinoplasty. As an expert in nose surgery, Dr. Machida is uniquely qualified to perform revision rhinoplasty procedures. Dr. Machida has practiced medicine for over 30 years and performed over 6,000 facelifts and 10,000 facial plastic surgery procedures. But what makes him truly stand out is his dedication to helping patients feel supported through their plastic surgery journey; from the moment they walk through the door to the moment they finish their recovery, Dr. Machida is there to help. Committing to a major procedure like nose surgery is a brave act, and we understand that it can be disheartening when, after months of waiting, you realize that your results weren’t what you expected. If you truly want the best this time around, then contact the Inland Empire’s Second to Creation to learn more about their revision rhinoplasty. Contact them online or call 800.303.9541 to schedule a consultation. A revision rhinoplasty is not painful. In fact, many of our patients find the recovery to be quite tolerable. Just in case, Dr. Machida prescribes pain medication to each patient, although most of our patients switch to over-the-counter drugs by the next few days. What is the Recovery from Revision Rhinoplasty Like? Because a successful recovery means successful results, Dr. Machida stresses the importance of following post-operative instructions during your recovery. Many of our patients take about 7-10 days to recover, with the first few days being the most intense when it comes to swelling and soreness. A majority of the swelling should dissipate after a month or two, but residual swelling will exist for about a year. Dr. Machida is proud to have created a one-stop, plastic surgery experience; every patient who goes through our doors has the option of resting in our post-op care room. That way, Dr. Machida can monitor each patient. Like all of our plastic surgery procedures, patients will be able to go home on the same day of the procedure. Patients will also be asked to return for scheduled exams by Dr. Machida. If you experience any excess bleeding or swelling, a fever, or significant pain, you should contact Dr. Machida immediately. How Soon After My Rhinoplasty Can I Get a Revision Rhinoplasty? To avoid excessive scarring and other complications, Dr. Machida recommends that patients wait until the nose has fully healed before undergoing a revision rhinoplasty. Will Health Insurance Cover My Revision Rhinoplasty? If you’re currently having trouble breathing, then parts of your nasal surgery may be covered by insurance. Dr. Machida is focused entirely on cosmetic procedures, and he does not accept insurance for nose surgery. However, Dr. Machida will fix any breathing issues caused by structural problems in addition to his cosmetic surgery. Dr. Machida strives to improve both structure and function.